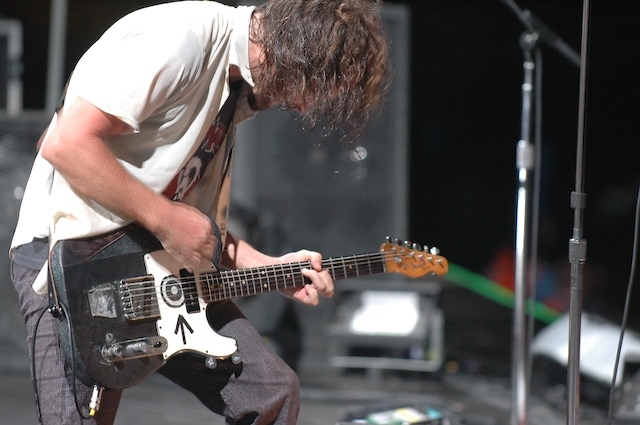 Eddie Vedder has 3 Fender Telecasters he uses on tour. One was bought for him by his mother, another was stolen/never returned to S.I.R. [Studio Instrument Rentals] in Hollywood. 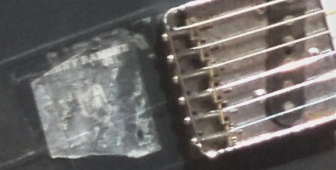 I am not sure if this ” Black Sparkle” 1952 Fender Telecaster (re-issue) is either of those but it does have a few interesting things on it. There is a target/bullseye sticker with a black taped arrow pointed at the target. 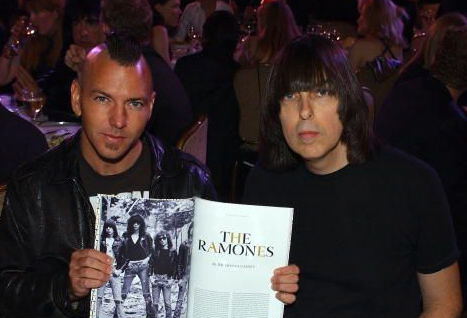 The Johnny Ramone photo makes sense as Eddie considered him one of his best friends and was the presenter when The Ramones were inducted into the Rock & Roll Hall of Fame. Vedder also wrote the lyrics for Pearl Jam 2006 single “Life Wasted” in honor of Johnny while driving home from his funeral in 2004. Not sure what the target and arrow mean though…Any clues??? Syd barret had a similar black circle with white hole on his telecaster? 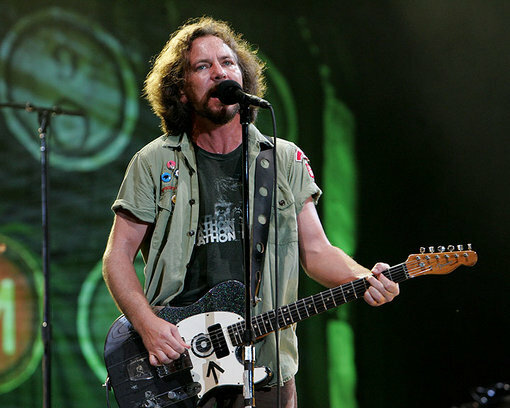 Eddie Vedder is both a fan and friend of the band.